UPDATED 1 LEVEL HOME IN SALMON CREEK. 3 beds, 2 baths, 1408 sqft, built in '91. "Ring" doorbell w/camera. Vaulted living rm. Kitchen w/pantry opens to dining. Master w/large closet & full bathrm. Ductless heat pump w/AC. Laundry inside. Newer roof & new exterior paint. 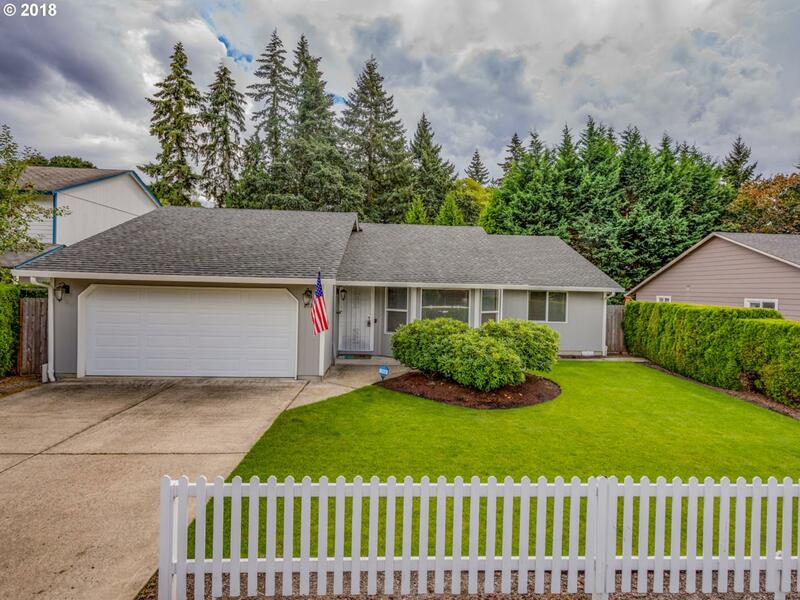 Private fenced yard is meticulous w/large deck, play structure & tool shed. Excellent location near freeways, Legacy hospital & Salmon Creek schools.